Interestingly, the term dress shirt has a different meaning on both sides of the Atlantic. In the United Kingdom, a dress shirt is known as a formal shirt. In the United States, the dress shirt makes up part of the standard ensemble required for evening dress for formal occasions. A man will be required to wear a dress shirt, which essentially must be white with double French cuffs and cuff links, with his tuxedo, cummerbund, and butterfly or bat-wing black tie. Shirts appeared first in European dress in the seventeenth century as a kind of underwear, designed to protect expensive waistcoats and frock coats from sweat and soil. By the early nineteenth century, shirts had assumed importance as garments in their own right. The emphasis placed by Beau Brummell and other dandies on wearing clean, perfectly styled linen brought the shirt into increased prominence as an essential male garment. 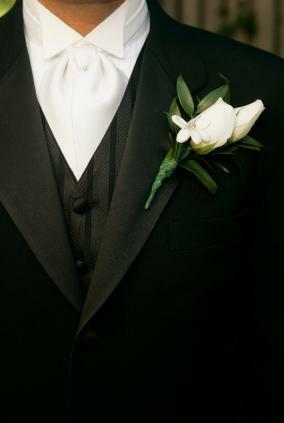 Even up to the turn of the twentieth century, the white shirt was considered to be the symbol of a gentleman. But in order for shirts to look clean, particularly the collar, a man would have to have enough money for them to be washed frequently. According to popular legend, Mrs. Orlando Montague of New York City realized the collars on her husbands' shirts needed washing much more than the main body and set about removing all the collars and sewing on strings to reattach them once they had been washed. The trend soon caught on, even though many men struggled to piece their shirts back together again. Detachable versions of both the turndown and wing collar were available with the added advantage of being able to alter the collar depending on circumstance. Victorian men were also known to buy celluloid or paper collars to save money. However, due to the laborious process of refitting the collars on the shirts, the development of the domestic washing machine, and developments in fabric technology, the detachable collar has all but disappeared from the male wardrobe. Shirts made to be worn with formal attire were traditionally cut with a stiff wing collar in the late nineteenth century, and that style remained standard into the period after World War I. The Duke of Windsor developed the move to a pleated front formal shirt with a turned-down collar in the 1920s. The Duke explained to his shirt maker that he wanted a softer alternative to the stiff-winged collar shirt. The pleated front of the dress shirt is designed not to extend below the waist, so that the front will not bulge forward when the wearer sits down. The wing collar remains the more formal of the two styles and usually comes in reinforced pique and sometimes with a fly front to conceal the buttons. The wing-collared shirt remains the more flattering to those with long necks and the preferred choice for their partners by women. By the late 1960s there was a trend in evening shirts toward more ornate styles. Almost-feminine dress shirts, with huge ruffles, horizontal pleats, embroidery, and lace all featured, were finished off with mandarin collars and a variety of new colors. This trend carried on until the 1970s, but such ostentation is considered a sartorial blunder in the early 2000s, and most men have reverted to the more traditional styles in white fabrics. A dress shirt in the United States is considered to be any shirt with a collar (attachable or detachable) that is worn with a jacket and a tie. This includes both the wing-collared and turned-down collared shirts worn by men as evening wear, but these are referred to as formal shirts. Styles of American dress shirts include pinned, button-down, Barrymore, plain, or tab-collared shirts. See also Shirt; Sport Shirt. Barnes, Richard. Mods!. London: Plexus Publishing Ltd., 1979.